Rep. Joe Neguse (D-CO), a freshman congressman who sits on the House Judiciary Committee, asserted recently that Supreme Court Justice Brett Kavanaugh unequivocally committed perjury during his confirmation process and will likely be investigated for the purported act. Neguse did not cite a specific example of perjury, nor did he allude to any evidence. 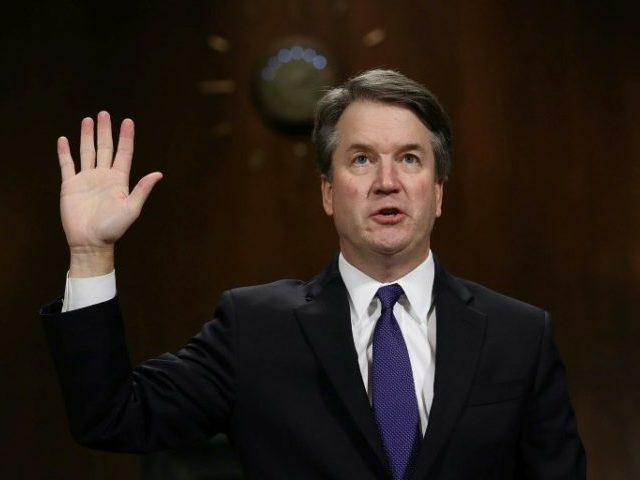 Kavanaugh was sworn in October 6th as the 114th justice of the Supreme Court after Democrats attempted to derail the confirmation with the resurfacing of decades-old allegations of sexual misconduct — charges he not only denied, but which an FBI background check could not corroborate. The first and most high-profile allegation was waged by California psychology professor Christine Blasey Ford, who accused Kavanaugh of pinning her down on a bed and groping her during a Maryland house party 36-years ago. She alleged that she managed to escape after Kavanaugh’s friend, Mark Judge, leaped on top of the two, sending them tumbling to the ground, which allowed her to bolt out of the room. None of the witnesses Ford named had any recollection of any such party or encounter. However, born from the Kavanaugh hearings were remarks by Democrats that the future justice had made false statements about his drinking habits and high school yearbook. Despite recently being overheard on an Amtrack train mulling over plans to impeach Kavanaugh, House Judiciary Chairman Jerry Nadler (D-NY) has called the FBI’s investigation into the justice “adequate,” signaling he will not seek the justice’s removal — piercing a hole in Neguse’s suggestion that the judge could be facing an investigation. The Senate voted 50-48 to confirm Kavanaugh to the Supreme Court, with Sen. Joe Manchin (D-WV) casting the lone Democrat vote.